Completed at the end of 2012 and inspired by the incredible achievements of the Warrington Wolves Rugby League team over the previous four seasons – three times Challenge Cup winners, in 2009, 2010 and 2012, and winners of the League Leaders Shield in 2011 – Spirit of the Pack celebrates the magnificence of the Warrington Wolves team, and of wild wolves, in one unique composition. 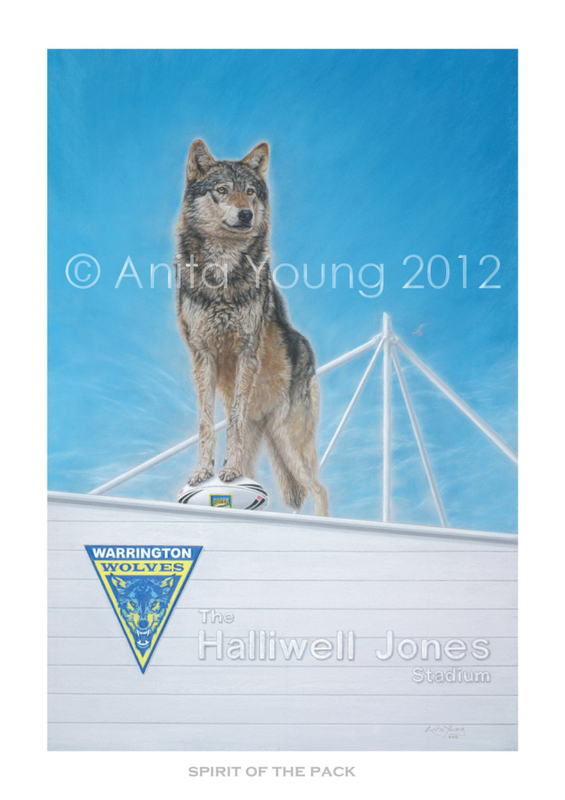 The painting seeks to represent the power and dominance of the Wolves pack using the iconic image of a real wolf standing proudly and confidently at the highest point of his domain – the roof of the Halliwell Jones Stadium – rugby ball firmly under his control. The wolf is a creature of courage, determination and endurance with an almost psychic ability to communicate with its fellow pack members at all stages of the hunt. Success and survival of the pack are the ultimate objectives – each member knowing his position; using his natural strengths; performing his own vital role as part of a cohesive team. 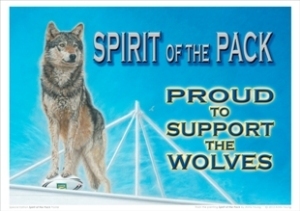 What better symbol than the wolf to embody the essence of a Rugby League team? Men of steel with hearts of wolves. This is the indomitable Spirit of the Pack. 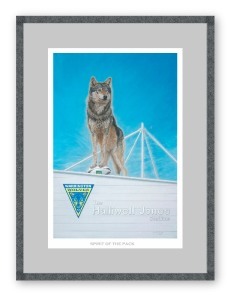 Purchase a special gift for a special Rugby League supporter. 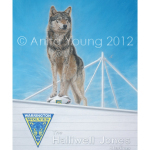 A percentage of net proceeds from sale of all prints will go to the Warrington Wolves Charitable Foundation and also to wild wolf conservation.